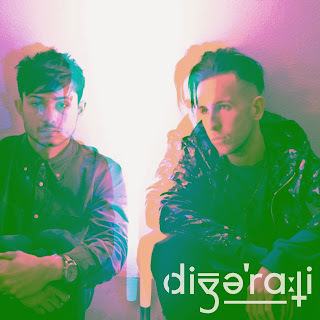 Today, Jonni Wedge and Kiran Marshall parted ways with their Futureproof name, starting a new project Digerati. After their previously third member Charlie Leftwich took the decision to leave the group, the duo decided to move in a new electronic direction. While we absolutely loved them as Futureproof, we have no doubt their skills as producers, songwriters and performers will be taken to greater heights as they start a new era in their music careers. Officially launching in 2015, Jonni and Kiran have just dropped a taster of what's to come in the new year. Check it out below! Here at HD, we cannot wait to hear the full versions of these tracks and catch Digerati at a gig soon! Keep up-to-date with Digerati on Twitter and Soundcloud.